Summer is a great time to make the Camino de Santiago in all its routes good time on most days, more crowds and colleagues with whom pilgrimage, more vigilance on the roads and, of course, take advantage of these vacation days that allow us to do the Camino unhurried and enjoying it. However, they are dates for the massive increase of pilgrims, thieves take the opportunity to "get boots." 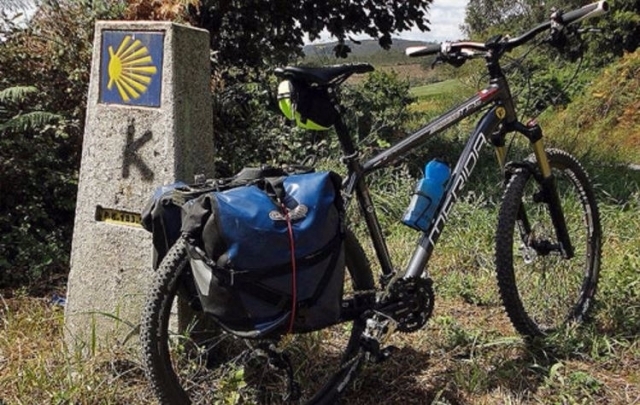 In Spain a bicycle is stolen every 5 minutes and, of course, the Camino de Santiago is a hot spot ... many foreign friends do August, never better, during this time in the Jacobean routes. Therefore, especially the pilgrims who watch their bikes when they make a break or, say, stop at a local lunch or dinner is recommended. Before the robbery, pilgrims should call the police, but not always the action of the security forces ends with a happy ending. The bikes have a lot from the black market, and therefore the thieves take very little to get rid of the merchandise stolen, lost track quickly. So you know ... beware pilgrims your bike. Hay que andarse con ojo... al final los ladrones están allí en donde saben que pueden pillar algo, y en este caso está muy claro que en el Camino es fácil robar bicicletas, pertenencias, etc. Estos robos tienen que estar más controlados por la policía. De todas formas, los peregrinos tienen que estar más atentos de sus bicicletas.